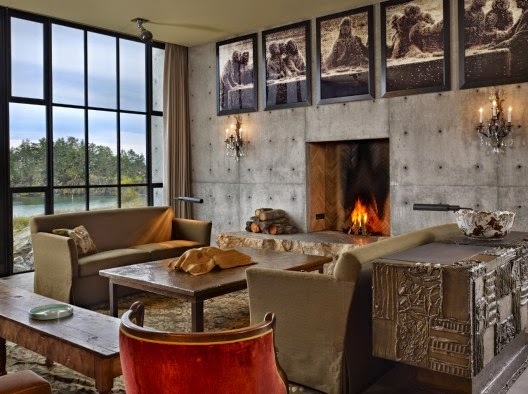 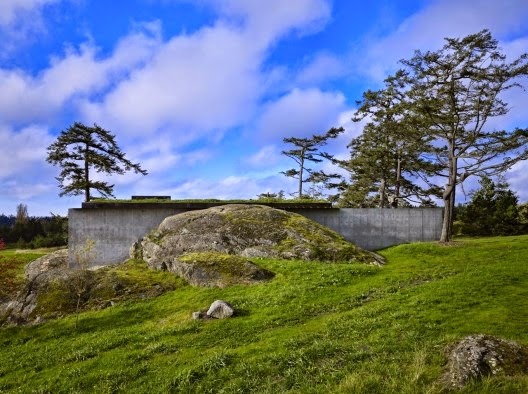 Olson Kundig Architects created a camouflaged concrete house called 'The Pierre' in San Juan Islands, Washington. 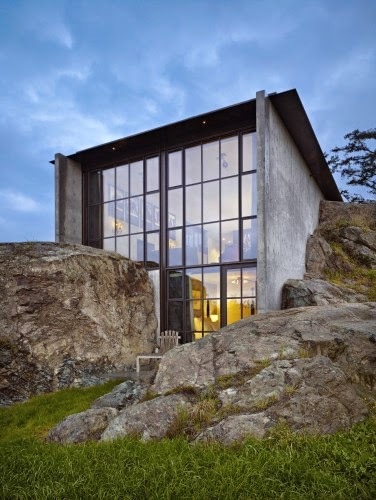 The owner’s affection for a stone outcropping on her property inspired the design of this house. 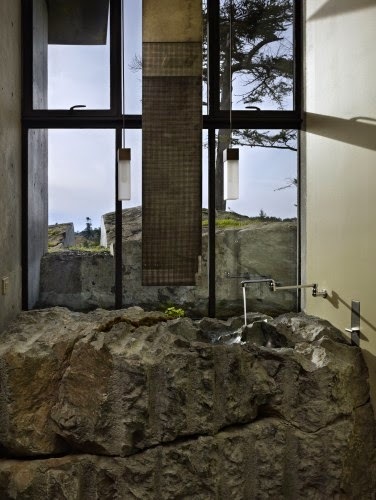 Conceived as a retreat nestled into the rock, the Pierre (the French word for stone) celebrates the materiality of the site.